Gap Inc., the fashion retailer, had a traditional performance review process, but it simply was not delivering results—not for the business and not for employees. “It was complex, time-consuming and expensive. At our company’s headquarters alone, it was estimated that people were spending 130,000 hours a year and significant payroll on the process.” To add to this, managers and employees disliked the process—as one employee complained, “I think it’s a waste of time, causes unnecessary stress, and is really an old way of thinking in this modern day and age,” says Rob Ollander-Krane, Director of Talent Planning and Performance. It was complex, time-consuming and expensive . . . people were spending 130,000 hours a year and significant payroll on the process. All of this, combined with a growing consensus among HR and performance thought leaders that traditional performance management had had its day, led Gap to decide to radically overhaul its approach. The new philosophy and process was rolled out to headquarters’ employees worldwide, and to one of their five brands in 2016, bringing it to store employees. 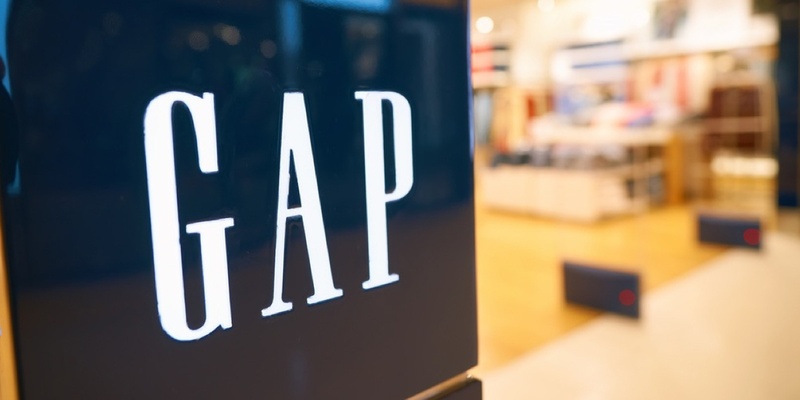 It’s been such a success story that the Harvard Business School uses it as a case study for its MBA program, and it won Gap Inc.’s prestigious Founders Award for Innovation—the first for an HR project. The new performance management process is called “GPS”, and stands for “Grow. Perform. Succeed.”—an analogy for what Gap wants its managers to do. “A GPS in your car lets you set your destination, and if you make a wrong turn as you’re driving, it recalculates in real time and gets you back on the right path. We wanted managers to be like a real GPS—course-correcting employee performance throughout the year,” says Ollander-Krane. Coincidentally, GPS is also the company’s stock name, so the name of the internal measure of performance now matches the external measure of performance. 1. Performance standards replace the rating scale by giving a broad overview of employee behaviors expected. “It embodies every aspect of our new approach—having a growth mindset; delivering and learning from feedback; and just having regular, open and honest conversations. It puts the focus as much on the ‘how’ you have achieved your goals as on the ‘what’ you have done,” says Ollander-Krane. 2. Goals focus on outcomes rather than tasks, with a maximum of eight to ensure employees focus on a smaller number of important objectives. “Driving performance is not about ticking off all the things you have on your ‘to do’ list; it’s about thinking about how the world will be different if you achieve them all,” says Ollander-Krane. 3. Touch points replace the single annual review meeting with 12 informal discussions. Taking place anywhere and at any time, they focus on three questions: What went well? Where did you get stuck? What would you do differently next time? 4. Rewards have been revolutionized. With no ratings or forced distribution curves, managers have been forced to rethink how they allocate merit and bonus payments. “It’s a much simpler exercise, and more similar to the way we expect our managers to manage our products. If a product does well, you reinvest in it, and the concept here is the same—you give more money to the person who is delivering the best results,” says Ollander-Krane. 5. Learning includes several modules developed to provide help and support with the new process, from feedback conversations to how to allocate bonuses. Driving performance is not about ticking off all the things you have on your ‘to do’ list; it’s about thinking about how the world will be different if you achieve them all. The GPS process has delivered phenomenal results, positively affecting HR metrics; saving HR, managers and employees time; and helping to improve employee performance. They are definitely onto something here, showing you can drive performance and engage employees without ratings and reviews. Look at how and when performance conversations are happening at your company. If they aren’t working, then change to make them truly drive performance. Look at your performance ratings: Do they drive and reward performance or are they holding your business and employees back?